One Sock, Tons of Cool Projects! The first “Green & Groovy” craft kit includes hundreds of ideas and embellishments for unmatched socks, so one $18 kit = hundreds of projects! 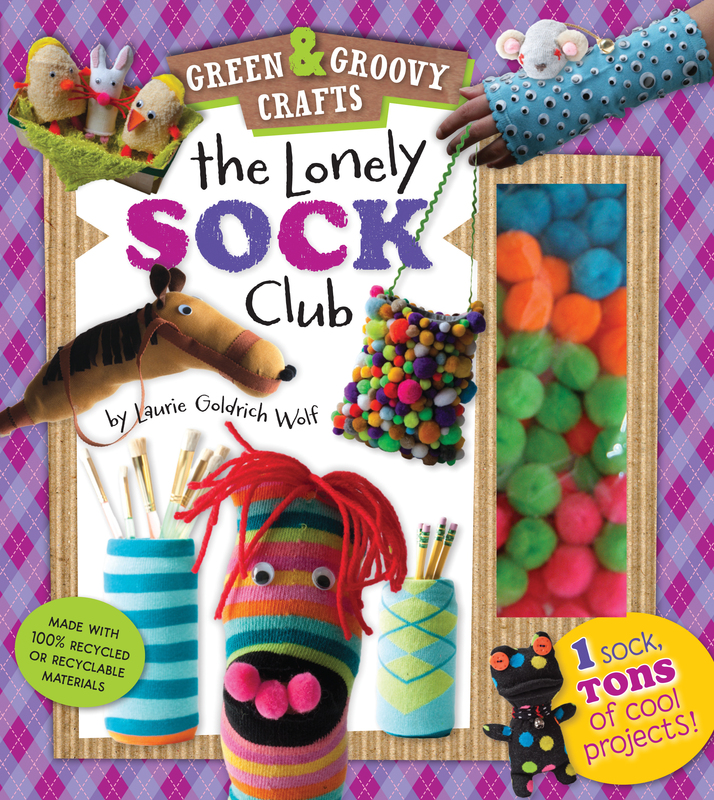 The 64-page book is bursting with clever, adorable, easy ideas for single sock crafts. From a camera case to fingerless gloves to irresistible softies, and cool household décor, every project is super simple, and totally fabulous. Packaged in earth-friendly recycled board, the kit includes 100 pom poms, 3 skeins of yarn, 25 googly eyes, and 8 pieces of felt. In addition to these items, the projects only call for the most common household items and other recyclables (such as the elegant vases crafted from empty plastic bottles, socks, and masking tape).